In recent months there has been a great deal of coverage in the UK media about villa rental scams, where people have unwittingly handed over large amounts of money to secure a villa that either does not exist or is not for rent by the person the money has been paid to. This doesn’t only happen in Ibiza of course, but in all lucrative villa rental markets across Europe. Villa rental scams are on the rise. Sadly, many times over the course of last summer, we received calls from people who had arrived in Ibiza to find they have nowhere to stay and no way of getting their money back, with their holiday ruined. It is a truly horrible thing to happen and all of us at Ibiza Villas 2000 want to reassure our current customers and potential clients of our business integrity. Ibiza Villas 2000 have been operating in Ibiza for 16 years. During that period we have looked after over 100,000 guests in our villas. All of our villas are either owned or leased by our company. We do not operate on an agency basis. We pay for all our villas up front at the beginning of the season and hold the exclusive contracts on the properties which means no one else can rent them without coming through us first. We know all our villas inside out and are more than happy to talk to you over the phone about them, not only to help you make your choice but for you to feel reassured that you will get the villa you are paying for! All our villas are registered with the tourism authorities and every part of our business abides by UK and Spanish law. Many rental businesses and agencies do not operate within the strict confines of Spanish accountancy laws which leaves them, and in turn their clients, vulnerable. 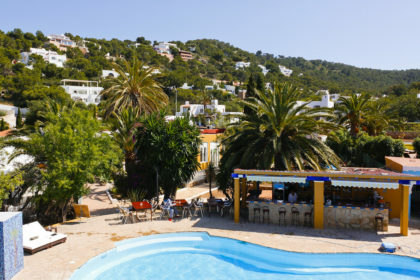 We are also part of the Villa Renters Association in Ibiza (AVAT) which is a select group of rental businesses who work together to improve and maintain standards for clients renting holiday villas in Ibiza. You can check out the AVAT website right here. At Ibiza Villas 2000 we meet with every owner who leases us a property for the summer and we check to see that all the paperwork is in order including their tax declarations, their insurances and the standard of their villa. Our Ibiza based accountant also handles many of the owner’s tax declarations. Many of the villa owners we work with have been with us for 10 years. We go to these lengths because so we can assure our clients that every person involved in our business is operating legally and within the boundaries of Spanish law. By operating so transparently and making sure every single aspect of our financial operations are in order we know that our clients can book with us with complete confidence.